Home Lifestyle What Have I Been Doing Recently? The first quarter of 2018 has passed by in a flash and I realise I have been letting things slip on Sim’s Life recently, my bad and I am sorry! However, it is not through procrastination (which I used to be very guilty of), but for the fact that instead of simply being busy, I have been productive, in fact very productive but mainly behind the scenes. You may be aware that I also manage Manchester Mummy which features information relating to anything Manchester, amongst other things, as well as fabulous restaurant reviews. It has always been hard to keep up with two blogs, especially with so many ‘things’ changing on a near weekly basis. In fact, after 8 years I have only just realised I should have started minimising my 400 categories down to around 10! As you can expect, that has been a barrel of laughs and has taken quite a lot of time and I still have another 200 to go… wish me luck! Behind the scenes, or not so anymore, I have also been working tirelessly on Travel Guide Blog. It’s a domain I bought several years ago but never had the time nor motivation to bring it to life. This year, something has clicked and TGB as I call it, is rising through the ranks and I am publishing content on the blog! Yey! I had forgotten how hard it is to setup a new blog and trying to understand the Google Search Console is another task yet to do, but the site is getting there and I am proud, yet excited to see how it will grow. Missinglettr has been a godsend recently and a handy tool I wish I started using sooner. It’s great to schedule in social media content once a post has been published and then it’s all sorted for the next year! It is a program I totally recommend, it took a while to get into but it reads your latest posts and allows you to design a social campaign around it, freeing up lots of time to be productive in other areas. I’ve actually started taking more notice of Pinterest recently and have actually started making my own pinable images, which you can see at the bottom of most posts, via Canva. Another blogging tool you need when wanting to produce awesome blog images! So, I may have been quiet on Sim’s Life and Manchester Mummy recently, but fear not, I am still here, adding more things to my To-Do list! Feel free to pop over to TravelGuideBlog.co.uk and follow the social media channels to keep up with the latest travel information! A quarter of the year! I only realised when you wrote that! Time is flying! I feel your pain organising categories – but you’ll get there. Thanks for the interesting insights! It has! I had a shock too when I realised and still it’s snowing! It’s flying by so quickly, although we did wake up to snow again this morning, it’s crazy! Nor do I 😉 It keeps me busy and the blogs have different themes, so nice to write different content! That’s the thing, finding time and motivation, but once you have found it you need to crack on! Oh I completely understand this, I’m running my blog, a photography site as well as trying to earn a freelance wage and apply for jobs. It’s difficult but I like being busy. I know that feeling of time flying by and being so busy! 2018 is going to disappear in a blink. 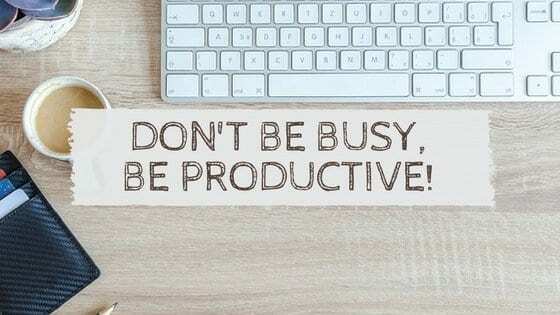 “Don’t be busy, be productive” sounds like a great motto to live by. I sometimes feel like I’ve spread myself too thinly – always busy, but not achieving as much as I’d like.